Being one of the busiest weekends in the interclub calendar, and with the kids going back to school immediately afterwards this year, there were concerns that the turnout of competitors might be a bit low at this 26th run of the event. They needn’t have worried; the loyalty of the Association of Land Rover Clubs members who attend this superb event knows no bounds. The venue for ‘The Basky’, Baskerville Hall Hotel, near Hay-on-Wye will be familiar to fans of writer Sir Arthur Conan Doyle as being the inspiration for his famous ‘Hounds of…’ novel, and if you keep an eye out for a taped-off section of woodland you will find the graves of those notorious doggies. 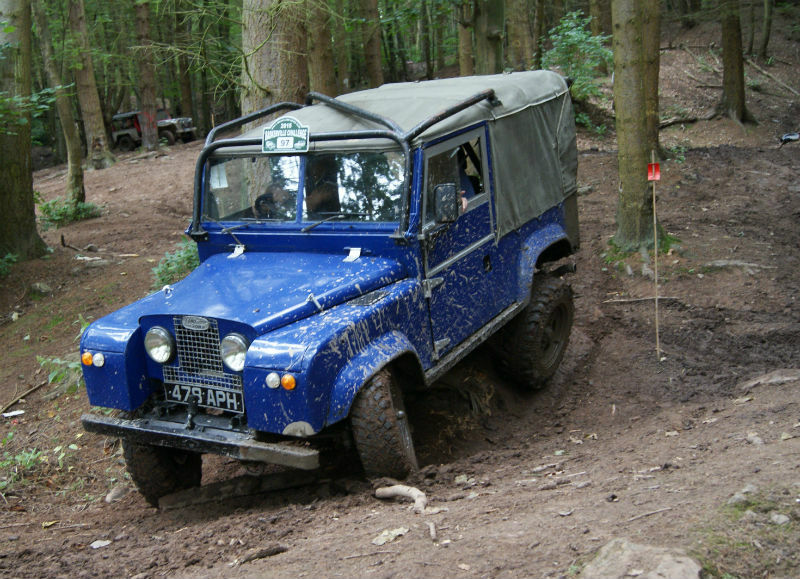 The format is similar to most ALRC interclubs, having, Road Taxed (RTV) and Cross Country Vehicle (CCV) trials, but due to the limited space for a race they have dropped the traditional Comp Safari in favour of a much more compact Timed Trial. There was also a Tyro trial for inexperienced drivers running in parallel back at the campsite. To see the full story head to Club Zone at the back of the November issue of LRO.